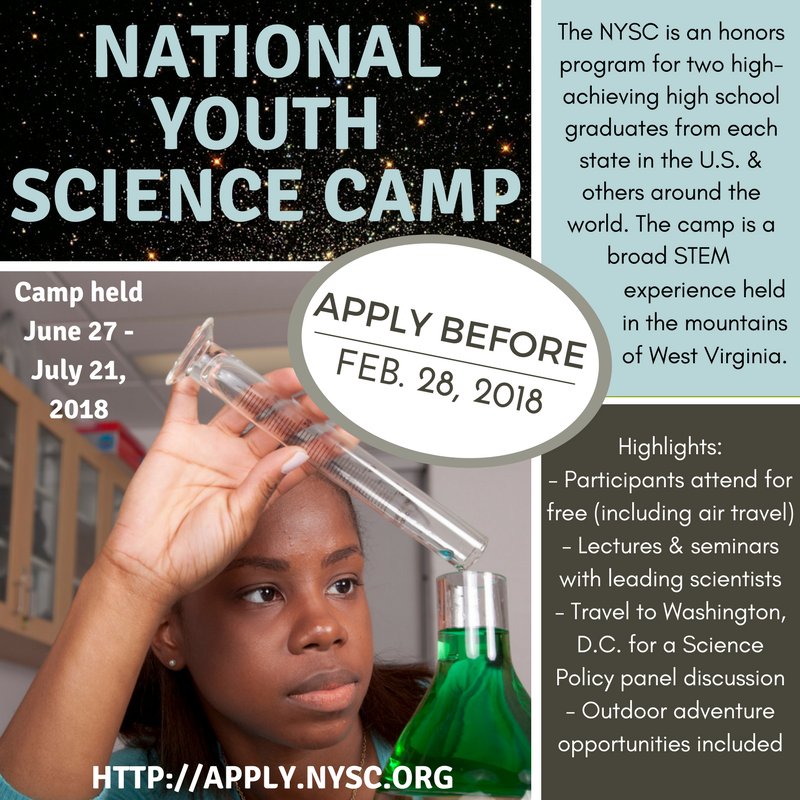 Washington high school seniors are encouraged to submit an application to attend the 2018 National Youth Science Camp (NYSC). Application materials are available on the NYSC website at http://apply.nysc.org and must be submitted by February 28, 2018. Additional information available at OSPI website. The scholarship application for 2018-19 is currently open.